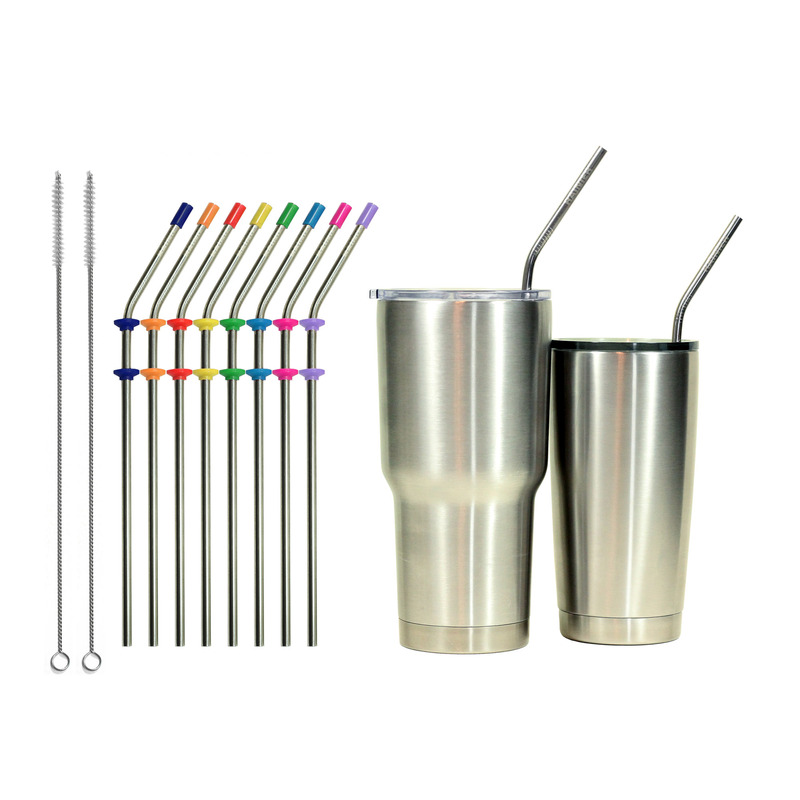 Each RAINIER Stainless Steel Straw tumbler set comes complete with unique Straw Silencers and Tips to quiet rattling and protect your teeth and lips. This is especially important when drinking a really hot or cold drink like coffee or a frozen cocktail. A steel straw maintains the temperature of your drink all the way to your mouth. Hot drinks can burn your lips and cold drinks can cause the straw to actually become coated with a thin layer of ice! RAINIER’s silicone Comfort Tips provide essential protective insulation to allow you to sip and enjoy the many benefits of stainless steel straws without getting blisters or frostbite. The genius of the simple design of RAINIER Comfort Tips is that the liquid being sipped does not go through or touch a properly installed tip. And, unlike some other tips, a Comfort Tip is very unlikely to come off unless purposefully taken off. This means the tips will stay clean, secure on the straw, and won’t get lost. And other tips can reduce flow through the straw by 15% or more. They are dishwasher safe and can be left on the straws when washing. 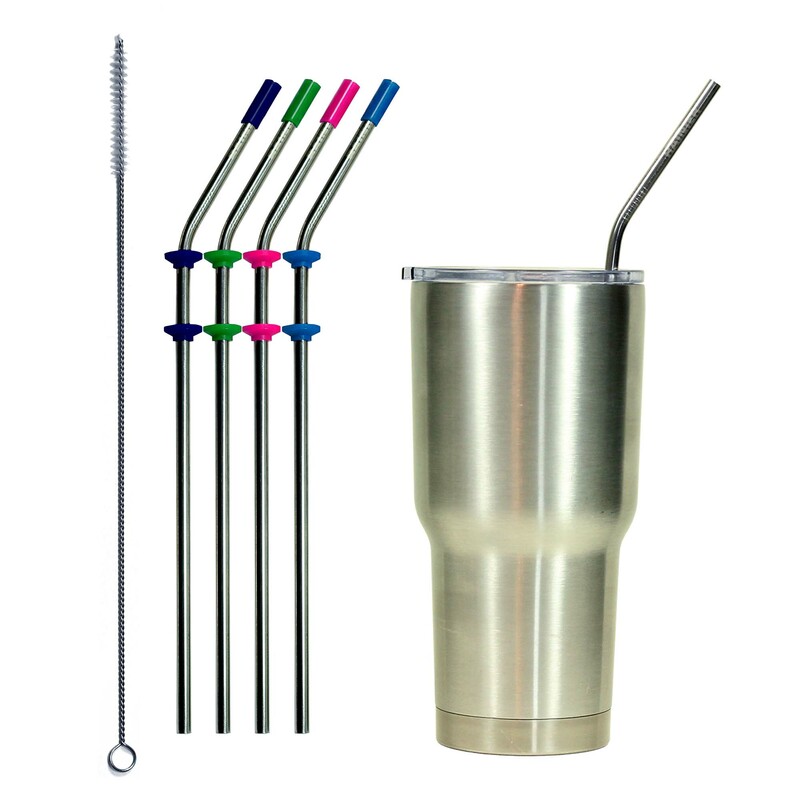 RAINIER’s also invented the Straw Silencer attachments to eliminate rattling and hold the straws in a fixed position in your tumblers. 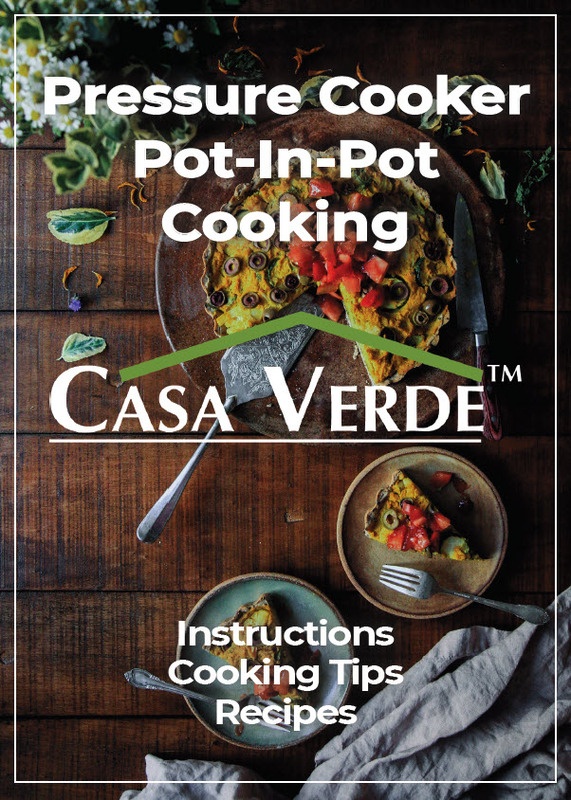 These are made of soft silicone and, if needed, they can be easily trimmed for a customized fit with any lid. Our 0.24 inch (6 mm) diameter tumbler straws fit all lids. The 10.5 length is the perfect length for 30 oz. Yeti, RTIC, Ozark Trail, SIC, etc. Ramblers, Tumblers, and Cups. For 20 oz. cups, our 9 inch length is perfect – and our 10.5 inch length works great also. 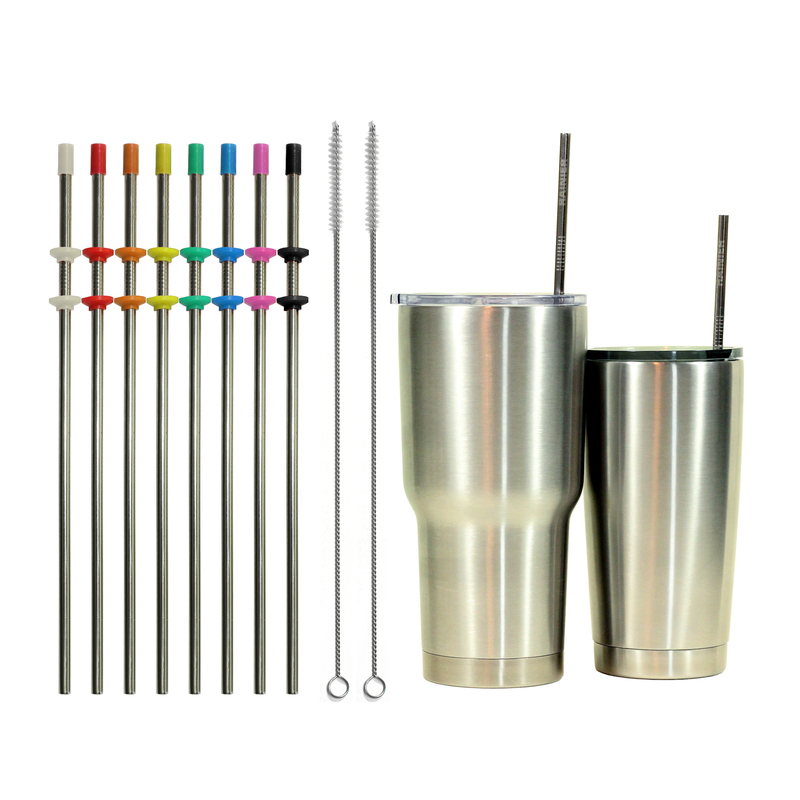 Made from polished 18/8 stainless steel, these durable and sturdy straws withstand daily use, are dishwasher safe, rust-free, and, unlike glass and plastic straws, will not crack, bend or break. Take them along when you go out on the road, on the in the office, at the gym, or wherever. Stop wasting money on plastic straws that also create excess waste. The average family that switches from plastic straws should recoup their investment in about 6 months — and after that, you drink for free.